A new Turkish flotilla would be accompanied by Turkish naval forces, organizers of the project said. After an anti-Semitic screed by Turkish Prime Minister Recep Tayyip Erdogan, in which he accused Israel of “state terrorism” and accused Jewish Home MK Ayelet Shaked of “being like Hitler,” the Turkish humanitarian relief organization (IHH) said it was planning a “rerun” of its infamous 2010 Gaza flotilla. The group said that it was working on filing papers and seeking permits to allow the flotilla to bring tons of humanitarian aid to Gaza. According to IHH chairman Bulent Yildrim, the ships will be accompanied by Turkish Navy vessels which will “protect us from any potential attack.” The group is inviting notables from Europe who participated in the first flotilla in 2010. Nine people were killed in 2010 when Israeli sailors boarded the Turkish flotilla ships, which were violating a legal international sea blockade. 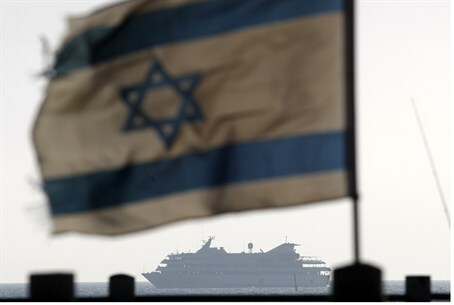 The nine were Hamas-affiliated terrorists who were aboard the Mavi Marmara, one of the ships that participated in the flotilla. The Marmara was one of six in a flotilla illegally attempting to break Israel’s maritime blockade of Gaza. A 2011 UN report upheld the legality of the blockade, as a means of protection against and aggressing power. Attempts by one state to break a blockade by another state are considered acts of war under international law. Turkey ejected Israel’s ambassador over the incident and recalled its own from the Jewish State, breaking long-standing military and diplomatic ties but stopping short of severing economic relations.